Pakistan: Will it ever have a stable government? Don’t celebrate this overreach by the court, said Hassan Javid in The Nation. 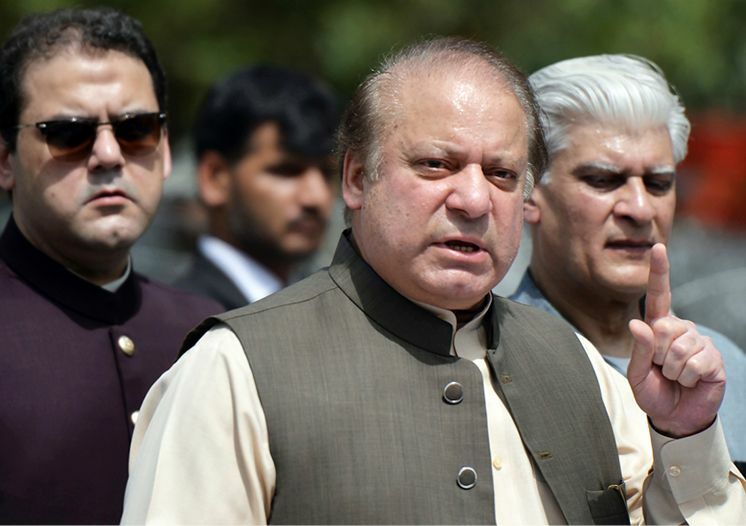 Sharif was not removed because of the allegations of money laundering and misappropriation of public funds; he was “disqualified on a technicality.” The so-called asset Sharif failed to disclose was a small salary he was entitled to receive, but says he did not collect, from a Dubai-based company owned by his son, Hassan. The court used that oversight to find him in violation of the constitution’s requirements that a prime minister be “truthful” and “trustworthy”—vague articles introduced in 1985 by then-dictator Gen. Muhammad Zia-ul-Haq “as a measure through which to exercise control over Pakistan’s elected representatives.” Sure, Sharif should have been ousted if proved corrupt—but that hadn’t yet been proved.